Mac’s Discount Glass Inc., the best and top-quality auto glass cover areas like El Dorado Hills and shower doors for places like Cameron Park. We provide glass repair service in Fair Oaks. If you are in need of windows repair in Folsom and mirrors in Rancho Cordova, replacement glass installation for all the towns of Folsom and Granite Bay. We also provide Broken Window Replacement and Installation – Fair Oaks to Folsom commercial glass to the people in Roseville, if you are in need of automobile replacement glass. Sacramento area to El Dorado Hills has to offer. We are proud to provide glass service in Cameron Park and repair for Windows and Folsom and Windshields for homes and autos – both commercial and residential needs in Roseville- throughout the Sacramento and El Dorado Hills area. Chances are, we service your area! Don’t See Your City Listed? – Call us – Chances are we cover that city. If you are in the El Dorado Hills, CA or in North Highland and the Greater Sacramento area and you need windshield or window, we can replace it for you. Call or email for a free estimate on your glass replacement, windshield installation and mirror, replacement service needs. Partners and Business We Trust! 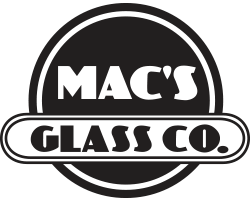 Mac's Discount Glass is a mobile auto glass repair company as well as a window repair service to the cities surrounding El Dorado Hills. We provide glass repair service to North Highlands and cities surrounding Sacramento bringing mobile service to the town of Folsom and Granite Bay. We are experts in glass installation and window repair for homes and auto glass and cover the areas near Folsom Lake and El Dorado County.